Carefully formulated recipes designed to be simple – simply delicious and nutritious! The That's It line offers a huge selection of options based on limited, exceptional ingredients for an excellent rotational diet. All of our green tripe is sourced fresh, directly from our top quality certified partners in Canada, USA and New Zealand only. "Thank you for making such a high quality food for my best friend, she thanks you too." "Congratulations on making a Canadian product this REAL! My dogs love it!!" PetKind Duck features 5 ingredients: Duck, Water, Quinoa, Sweet Potato, and a pinch of Blueberry. That’s it! 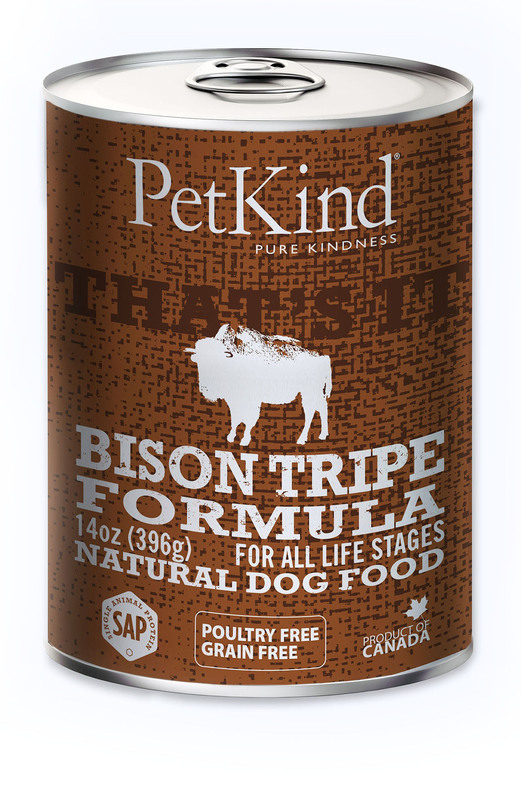 PetKind Bison features 5 ingredients: Bison Tripe, Water, Quinoa, Sweet Potato, and a pinch of Blueberry. That’s it! 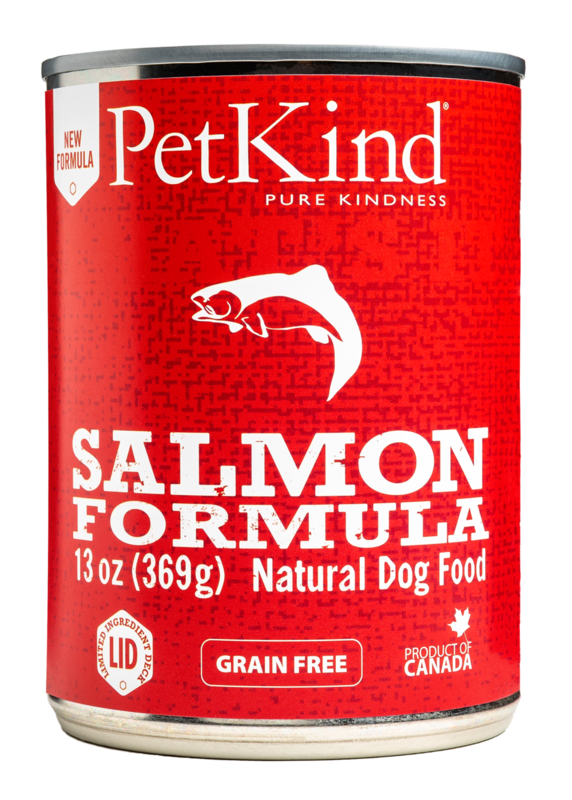 PetKind Wild Salmon features 5 ingredients: Wild Salmon, Water, Quinoa, Sweet Potato and a pinch of Blueberry. That’s it! PetKind Lamb Tripe features 5 ingredients: Lamb Tripe, Water, Quinoa, Sweet Potato and a pinch of Blueberry. That’s it! PetKind Beef Tripe features 6 ingredients: Beef Tripe, Beef, Water, Sweet Potato, Quinoa and a pinch of Blueberry. That’s it! PetKind Venison Tripe features 6 ingredients: Venison Tripe, Venison, Water, Sweet Potato, Quinoa and a pinch of Blueberry. That’s it! PetKind Red Meat Tripe features 8 ingredients: Beef Tripe, Venison Tripe, Lamb, Beef, Water, Sweet Potato, Quinoa and Blueberry. That’s it!